PRO: Energy from by thorium reactors wouldn't produce carbon dioxide and other greenhouse gasses. CON: It would still create highly radioactive waste that would have to be processed and stored for hundreds or thousands of years. PRO: Liquid thorium fuel is meltdown proof. If there's a total loss of power at a reactor, it can flow naturally into a holding tank and cool off naturally without needing any electricity. CON: All new power plants are being designed with some kind of "passive cooling" system already built in. 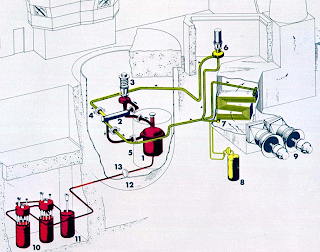 PRO: The thorium fuel cycle is resistant to nuclear weapon proliferation. The fission products are so radioactive, that handling any uranium created would be lethal. CON: It's not immune. Thorium needs uranium or plutonium to fission, and when its bombarded with neutrons, it turns into uranium-233, a material that has been used to make bombs. PRO: The waste produced by thorium reactors is a small fraction of the waste produced by traditional nuclear power plants. Dangerous radioactive elements can be removed from the liquid with processing, condensing the dangerous materials into a tiny volume. CON: There's a lot of debate as to how much radioactive material can actually be processed out and how small that volume can reasonably expected to get. In addition, the condensed waste would still be highly radioactive, and the fluoride used in the molten salt has a tendency to interact with air over long periods of time, meaning that it has to be continually reprocessed while stored. 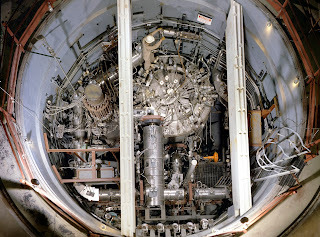 No thorium molten salt have ever been built, but experiments at Oak Ridge National Laboratory back in the '50s and '60s found that in principle a "molten salt" reactor could generate the needed heat. The Atomic Energy Commission (the precursor to today's Department of Energy) first looked at the idea of liquid nuclear fuel for the ill-fated atomic airplane. The idea was to have a nuclear reactor power the jet engines of bomber, allowing it stay aloft for days or weeks at a time. Once missile technology matured, it negated the need for such long duration flights, and the program was shut down. However that wasn't the end of the story for molten salts. Oak Ridge parlayed what they learned from the atomic airplane into developing a reactor that would stay on the ground and generate electricity. 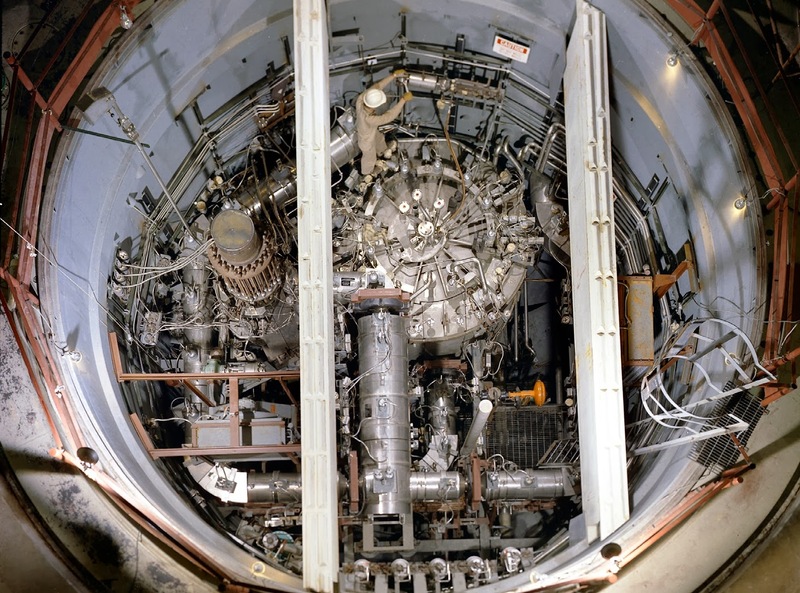 They built the Molten Salt Reactor Experiment at Oak Ridge in the early '60s, and it first went critical in 1965. It operated for almost five years before it was shut down, and the technology mothballed. Proponents of thorium molten salt reactors point to the MSRE as an important foundational piece of research. And it is, however it's important to note that though the reactor worked well, it never ran on thorium and never generated electricity. Then in the early 2000s, physicist Ralph Moir got Edward Teller, the "Father of the Hydrogen Bomb," interested in the old Oak Ridge reports. The two collaborated on a paper that was published in 2004, shortly after Teller passed away. Then in 2006 Kirk Sorenson formerly at NASA founded Flib Energy to develop molten salt technology. The long forgotten technology started garnering more attention from entrepreneurs and researchers. In 2009, the Thorium Energy Alliance formed to promote the potential fuel source. There's a conference about it going on at CERN right now in fact. Molten salt, in its solid and molten forms. Though there's been some grassroots interest in the technology, power companies have largely shrugged it off. It would take decades of expensive research to develop and commercialize. It has some safety advantages, like being nearly meltdown proof, however questions about the hazards of its waste persist. China and Japan have started researching the reactor system while the United States has so far stayed on the sidelines. It comes down to a question of economics, and it's not clear that the economics of thorium will pan out. What Happened to LEED (?) so that water did not need be present where the reactors go in? As a confirmed tree hugger I am committed to the end of fossil fuels and severe control on biofuels so that our forests are not allowed to become wastelands and our climate further disrupted. To accomplish this goal we must feed the energy gluttony of the world. Wind, solar and other non-carbon sources should be pursued, but at the same time new nuclear technology, like LFTR, must be pursued as base power supply. We need to get governments and private sector buy in to accelerate development, or our progeny will face an ugly and toxic world. What a hatchet job you've done on thorium here. There are many errors of bias and fact. Errors of fact question your competence. E.g. 1) The m.p. of the molten salts is no where near 600 C.
As for decommissioning the Oak Ridge reactor, the original researchers offered to clean it up for $50k back in the day but the bureaucrats said no. Several important facts that you have wrong about the molten salt reactors. 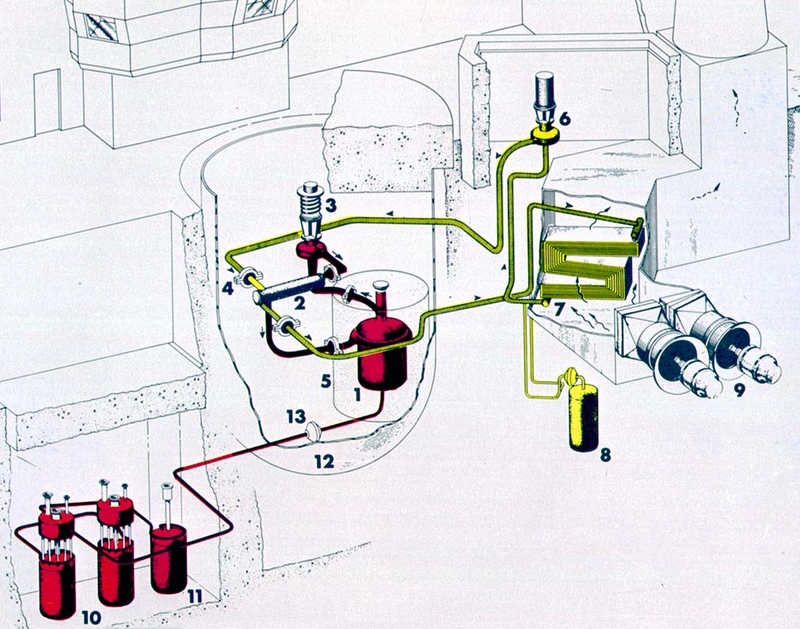 The small reactors did exist and did use Thorium in the MSBR from 1970 to 1974. A range of experiments took place from the 1950s to the 1970s. Arkajani is not a Thorium expert. Your podcast gets a lot of the information right but Arkajani is getting many of the facts wrong too. He is obviously from the old school who unless they were assigned to work at Oak Ridge were not well acquainted with the experiments. Creating a bomb from MSRs is more difficult because of the U232 poisoning that occurs. Companies around the world offer day loan services besides as North yank country, the us, Australia and nice kingdom. the principles and rules relating to what amount interest is besides charged, and limits on the amounts of the loans vary trying easy auto title loans chicago forward to the country, state, province or county where the day loan company is found. But is it degree exciting prospect to want cash from the savings for a house or college? One resolution would be to induce a loan from a bank, however the matter with emergency payment isn't primarily the amount, however the short amount of a moment to induce the money. getting a loan from a bank needs several payday loan work and respectable waiting times - and if a relative needs pressing hospitalization, you'll be able to not presumably not sleep for one month. Love how you only include pros that you have an immediate arguement against. And only cons that make those arguements. Btw, it's hundreds of years, not thousands and that waste will spend those years under a mountain, where no civilians are in contact with it. The bias in this article is palpable. No bomb has ever been made out of U-232. A LFTR also can be used to consume most of the radioactive wastes of conventional reactors. A small amount U-235 or plutonium is needed to ignite the Thorium cycle, but once ignited that "catalyst" can be consumed by it.